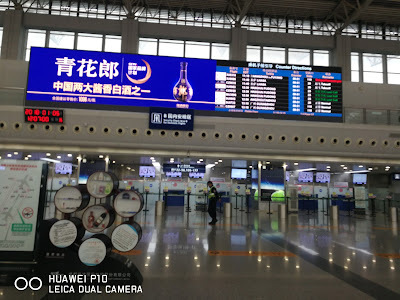 My flight back to Guangzhou leave at 13:10, I arrive at the airport at about 12 noon from my connecting flight, there are a special First Class check-in counter and a First Class Security line, which is empty. 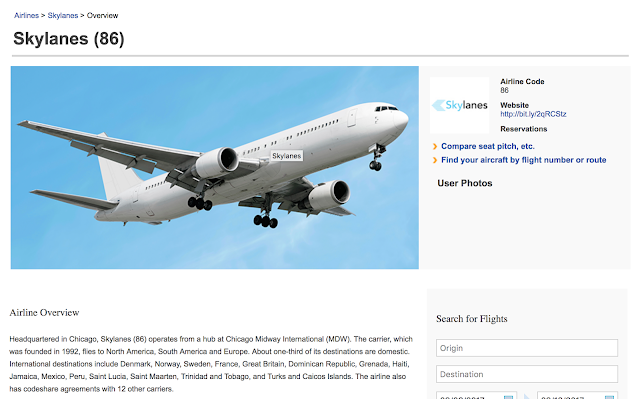 I presented my boarding pass to the agent and within seconds, I am in. 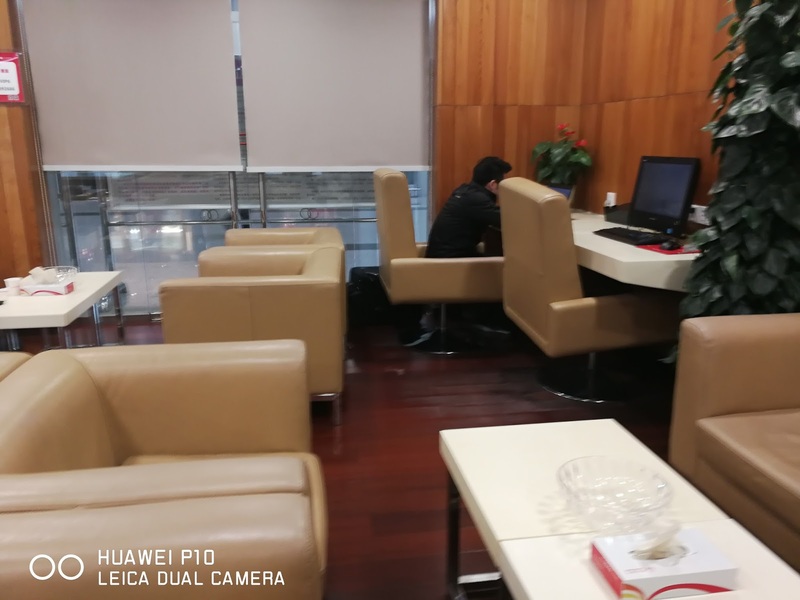 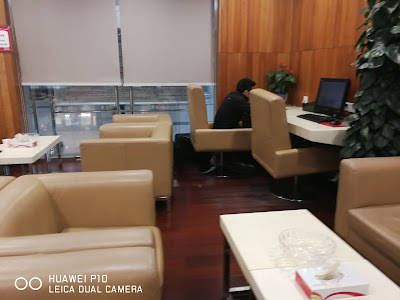 There is two First Class lounge in Chengdu T1 for Sichuan Airlines, both of them have nearly the same thing except that V2 has a toilet at the back of the lounge while T1 doesn't have a toilet inside the lounge. 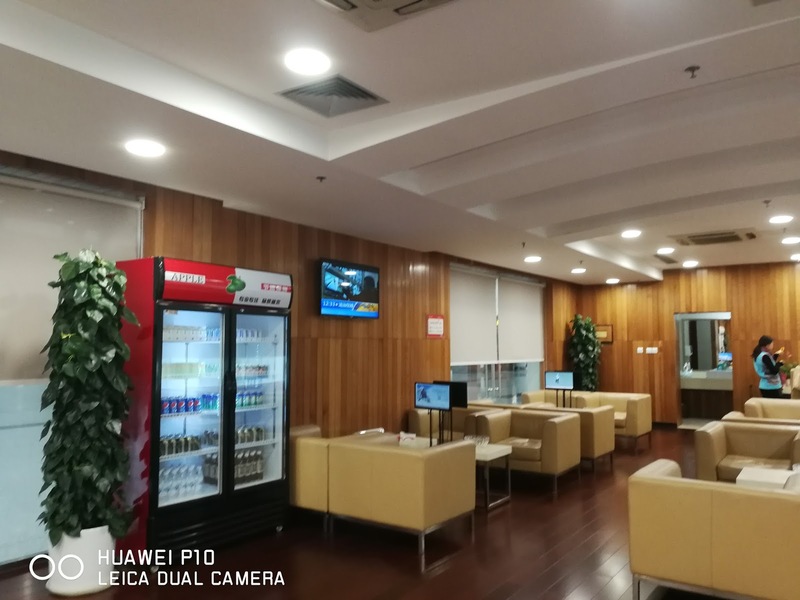 The lounge has very special "A La Carte Dining", this is the only hot food that both First Class Lounge have, there are only two things to choose from, they have a contract with a restaurant in T2. 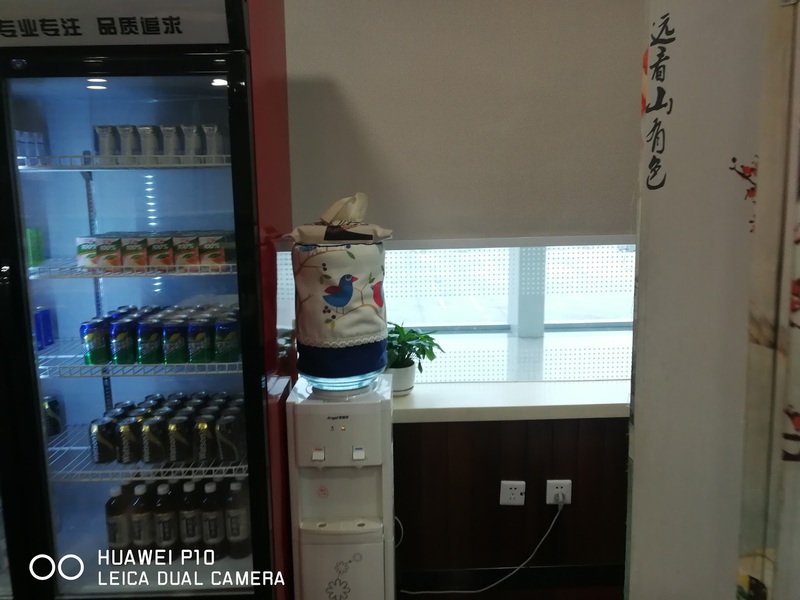 To my surprise, they have an airplane catering trolley to hold food. 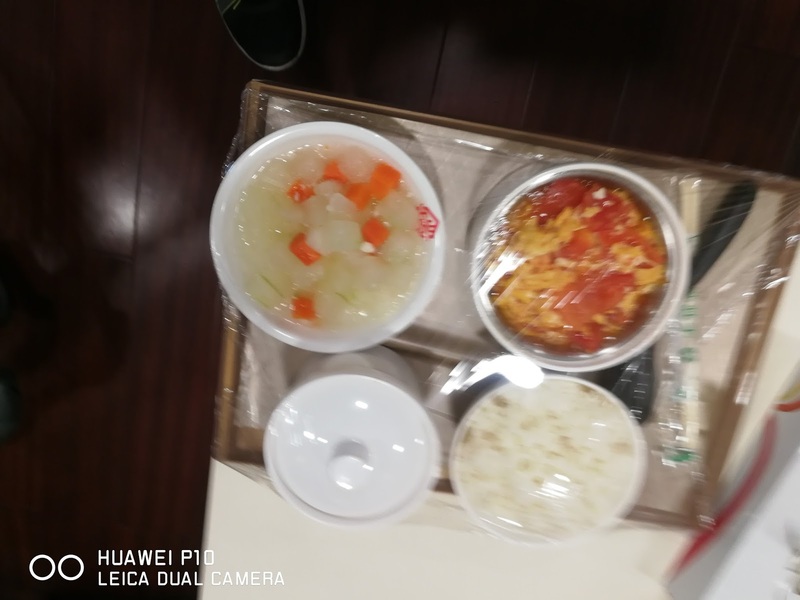 The food itself comes with a pumpkin soup, egg and tomato, rice and also winter melon soup and it is quite good. The lounge also has a fairly standard drink selection. 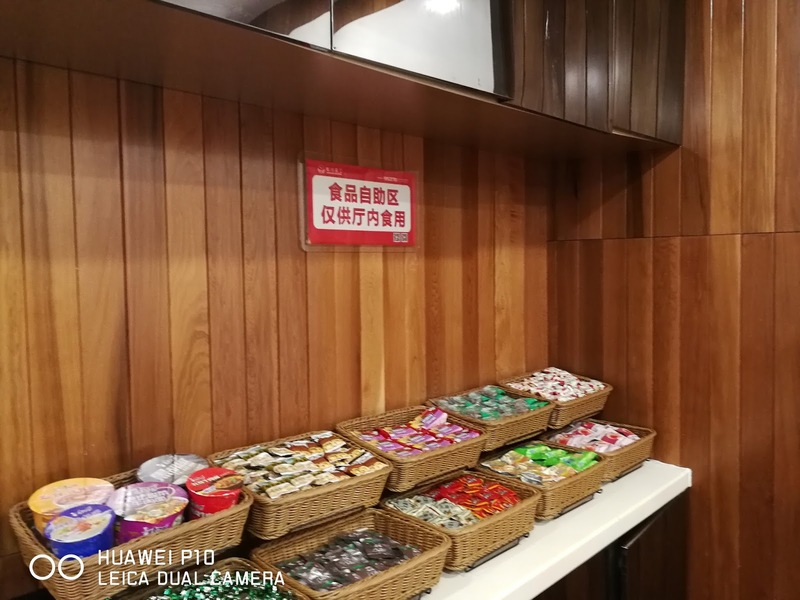 The snack selection is also par with other domestic lounges in China. 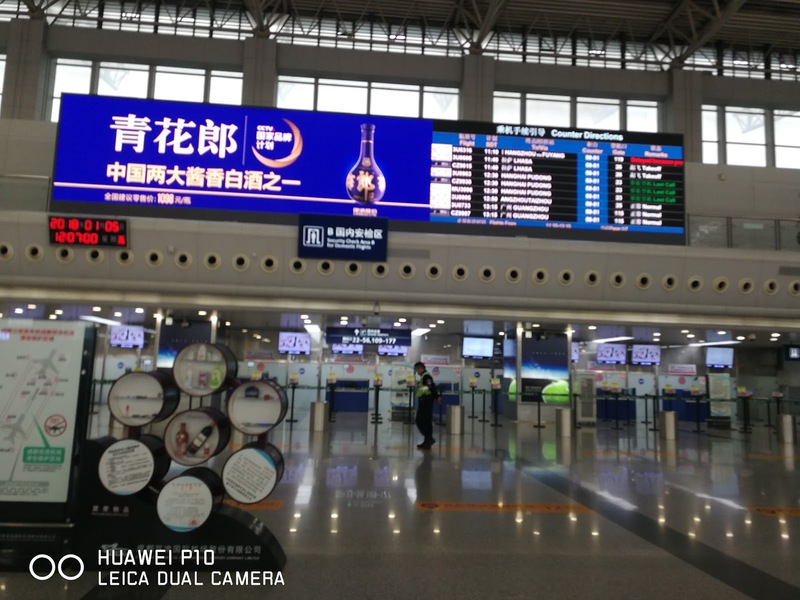 Here is an image of V2 near gate 115. 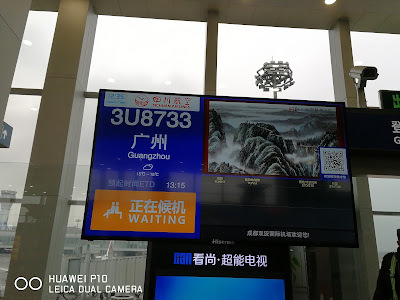 My flight to Guangzhou is boarding from gate 115 and it is eventually called for boarding at about 12:40.